I have an agreement with each of my three kids. One time, I will go all out and I will make them a Halloween costume, from scratch, of just about anything they want to be. Usually this comes from my children’s love of Anime and the lack of ready made items being available in the States, or if they are, they are insanely expensive. It also comes from the fact that, as I have jokingly said over the years, “I am a man with a sewing machine and I am NOT afraid to use it!” My son got this treatment when he was in grade school; I made him a full “Soma Cruz” costume from the “Castlevania: Aria of Sorrow” video game. The reason I make a caveat of only doing it once for each kid is twofold. First, I want to have them appreciate the time and effort it takes to make these things, and ultimately develop the skills to do it themselves, but really, there’s a much more down to Earth reason. I get psychotically hung up on “Perfection”. It’s a battle in my heart of hearts I know I can’t win. Still, I give in to it every year, and I consume hours and hours trying to make the best costume I can for each kid. There’s not enough time in the day to make them the way I want to, and also, my skill level is additionally limiting, but I do have the benefit of getting a little better each time. The picture is my younger daughter, and the costume is “Hatsune Miku“, which is in and of itself an interesting story, but if you want to know the background of the character and the technology that represents her in the musical sphere, I encourage you to check out her Wikipedia page and the page dedicated to the project that created her, Vocaloid. Anyway, that’s not the point of this. The point is that, as I have looked at what I do as I make these costumes for each kid, I discover something on a technical level I can do better, and I discover something about the quest for perfection. For most costumes, you can put in a little bit of effort and you can piece together something that looks OK. With a little more effort and time, you can make something that looks really good from a distance. With a substantial additional amount of time and effort, you can make something that looks really amazing close up, but that still doesn’t quite come up to what you have in mind. From here, one of two things happens. Either you exhaust your technical capabilities and accept that you’ve done as much as you can, or you put in an extreme amount of time to make something that you think is as close as you are going to get to perfect, and nobody is going to notice the difference. I know all the corners I had to cut to make my daughters outfit work; all of the tricks I had to use, and areas I just didn’t know enough about or didn’t have the equipment to do a top notch job. Having said all that… so what? My daughter loves the outfit, and her friends are floored that she has a one of a kind costume that no one else will have (well, no one else in her immediate circle; I’m sure. If she goes to a cosplay convention, then she’ll see outfits that will blow mine out of the water). My point though is that, when we aim for perfection, we experience a law of diminishing returns. We can go from mediocre to good with a small amount of planning and effort. We can go from good to great with a lot of effort. We can go from great to spectacular with a tremendous amount of effort. From there the next step takes Herculean efforts and seriously, no one can tell the difference. The sad fact is most people don’t notice much beyond moving from mediocre to good, and really many people don’t even care that you’ve moved away from mediocre. That’s dispiriting, but it’s true. Perfection is a noble goal, but sometimes it can get us so worked up and we can spend so much time trying to achieve it we become blinded to the fact that we’ve long since gone past any benefit that anyone else will notice or appreciate. This is where I think it’s important to step back to the old Cub Scout Motto, which is “Do Your Best!” For some, their best will look like “good”, for some, it will look like “spectacular” and for a few, it will go beyond anything that many of us can comprehend or realistically achieve without totally reshaping our lives to aim for it. I believe seeing mastery in the things that we do is valuable and an important step towards anything we want to pursue, but we also have to realize that mastery is a process, and it’s a long one. If I want to be a master costume maker, then I better set my sights on making a lot of them. As that’s not something I’m realistically going to be able to spend my time doing, I have to accept the fact that my little shortcut tricks and that “good enough to be seen from a distance” really is good enough. 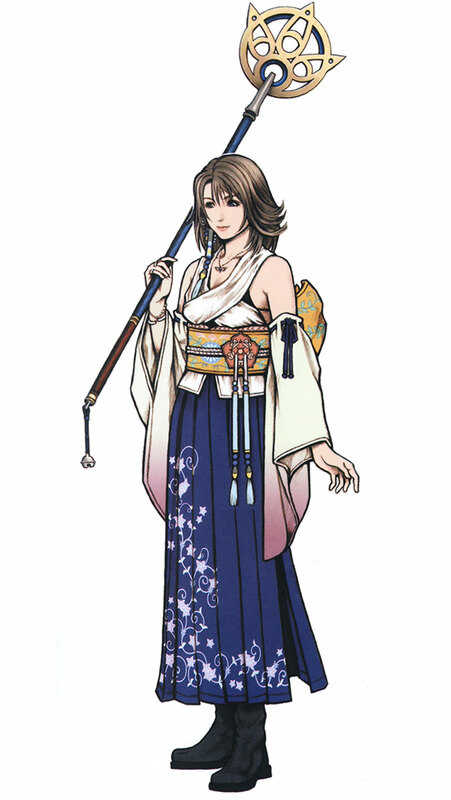 By the way, I have one costume left in me… my older daughter has told me she’ll claim it one of these years, but when her time comes, she wants me to make her a full Yuna costume from Final Fantasy X.